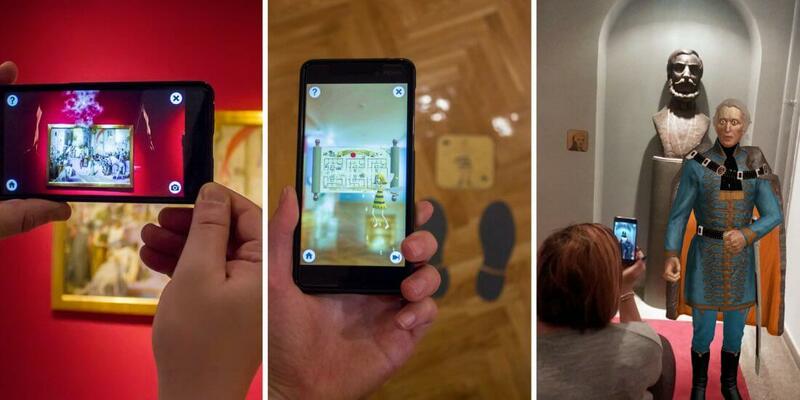 Visitors to The The Gallery of Matica srpska (Serbia) now have an opportunity to discover new virtual dimensions of classical artworks by using application “Dozivi Umetnost” (Feel The Art) on their phones or tablets! Feel the Art app powered by Zumoko creates unique experiences in the physical surroundings of art pieces. With augmented reality guidance through virtual characters of their founder Sava Tekelija and the “Magical Queen Bee”, an audience of different ages and interests can learn about the artistic and social phenomena of the past three centuries. Moreover, to learn about the history of The Gallery of Matica Srpska and interesting facts about artists and their masterpieces on the virtual time journey. Feel The Art – augmented reality application introduces innovative virtual features, but unlike with virtual reality, you are aware of your physical surroundings that is enriched with animated, audio and visual content. Schools and universities could use AR solutions as an educational instrument, with more interactive and engaging content. Not to forget audience’s entertainment! In gallery tour, you can take a photo with the animated guide while standing in front of the artwork. The application empowers you to experience history in a new way. The gallery exhibition offers attractive multimedia information.